Firelight is a Maltese country/ folk/ pop band. The band consists of Michelle Mifsud (vocals, piano, percussion), her brother Richard Edward Micallef (vocals, acoustic guitar, Appalachian mountain dulcimer, percussion), Tony Polidano (vocals, upright bass, electric bass, acoustic bass, percussion) and Leslie Decesare (drums, percussion, harmonica). 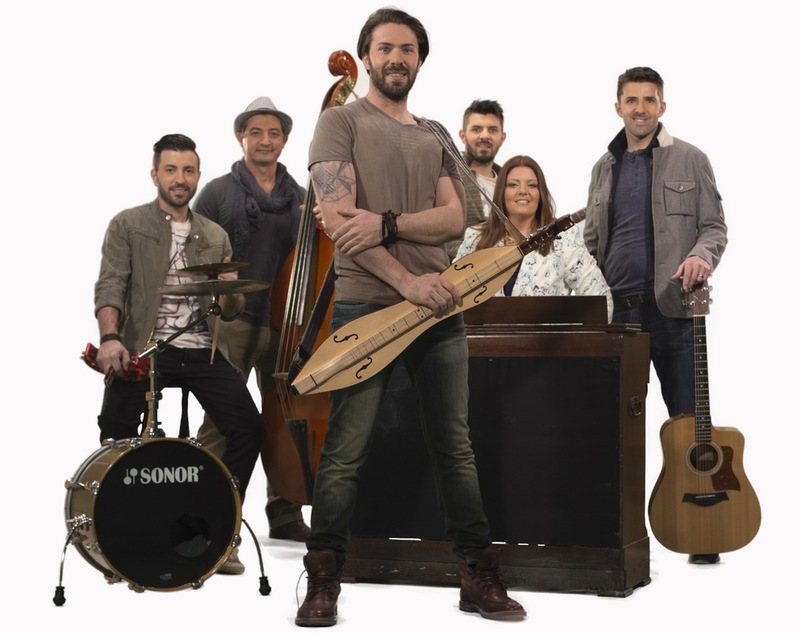 After national final Firelight brought in two more Micallef siblings - Wayne William, as backing vocalist, and Daniel Micallef on the acoustic guitar, who is replacing Matthew Ellul, who performed with the band at the national final. Firelight were formed in June 2013 and are still in the process of recording there first album which is set to be released in Feb 2014. All songs of the album are a collective effort of the band inspirations and ideas which represent the band itself. The style of music is somewhat new and the aim of the band is to produce a fresh sound to the music scene both locally and internationally. In February there are plans which will be set in motion that include promoting the new album via online marketing, getting the songs played on local and foreign radio and tv stations, releasing the music video’s and touring in Malta and Europe. Richard Edwards took part in 2013 preselection with "Fall Like Rome" (13th) and "Wonderful Today" (6th, in duet with Petra), in 2012 with "Look At Me Now" (5th), in 2011 with "Finally" (2nd), in 2010 with "Change" and with band Mics: "It's Up To You" in 2005 (21st), "We Truly Know" in 2004, "Take Me Back Again" in 2003 (14th). Born on the 21st of August 1982 and raised in Malta. His father is a well-known singer in Malta and just about all his family are entertainers. Richard plays the Appalachian mountain dulcimer, acoustic guitar, and percussion. Richard started his musical journey at a very young age with his brother Wayne and sister Michelle in a family group called "The Mics", appearing on various Maltese television programs and Maltese radio stations. Richard started writing his own songs at the age of 12, expressing his life with melody. In 2005 "The Mics" went there own separate ways so Richard took a step away from home to explore his musical talents. While he was in the UK he auditioned for the TV program called Xfactor and while he was in the program he got the chance to perform along side Leona Lewis, Ray Quinn and other Xfactor contestants. 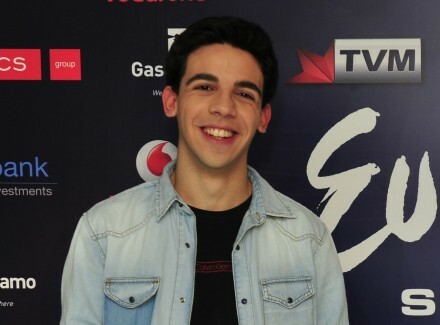 He also met Simon Cowell as he was his mentor in the program that year. 100,000 auditions took place on Xfactor and Richard managed to get shortlisted to the final 80. Later Richard joined a British rock band called Cast Away. His role in the band was playing the bass and vocals. He spent time touring many places across the south east of England. In 2009 he returned back home to record and co-produce an album called “Busking in Baghdad” with his brother Wayne Micallef. His music has been played on every Maltese station and also made it to the local charts hitting the top spot for a few of weeks. 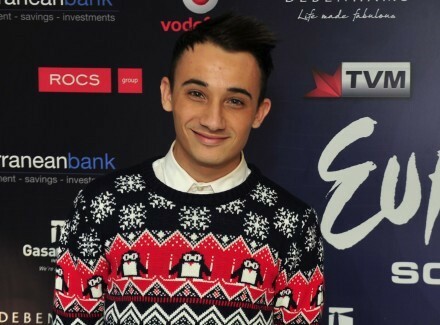 Besides taking part in MESC every year, Richard has been very busy appearing on various Maltese television programs and Maltese radio stations. He has also be gigging in most of Malta entertainment hotspots. The Mics were also occasionally reunited with Michelle, Wayne, Richard and Daniel joined sometimes by their father Joe George. "I’m quite open minded as a musician and I’ve learned to appreciate all types of music, but saying that, my favourite styles of music are country, folk, rock and some pop too. The only interests that I can never get enough of are all music related, be it singing, playing the guitar, writing lyrics, composing a melody, recording, rehearsing, gigging, etc. ", says Richard. Richard is inspired by a number of international artists including Stevie Wonder, Sir Paul McCartney, Pink Floyd, Eric Clapton, Coldplay, Alicia Keys and his father, Joe George. Richard is a fan of Manchester United Football Club in England and enjoys charity work. His least successful talent is fishing. He never caught a thing. Firelight’s song Coming Home is a mix of pop, rock and folk rolled into one. Richard believes people will be able to relate to Coming Home in many different situations and thinks it should be especially poignant for the thousands of emigrants who travel across Europe for work, spending months away from their families. The new album by Firelight is also called Coming Home. The album contains nine new songs. All the songs on the album are a collective effort, representing band members’ inspirations and ideas. "Hopefully, the style of song will make it stand-out in Copenhagen. We have to make sure we deliver as much as possible energy from the stage and deliver the best show that we can"
Richard and Michelle are on their way back home from a successful promotional trip to Moscow. Their time was spent touring and promoting “Coming Home” in the city of Moscow and have taken part in the yearly popular event “Russian Eurovision Party”. The full event kicked off early in the afternoon with a press conference for all the delagates in the hotel followed by a welcome drink and inteviews at the one of the most popular fashionable restaurants called Karlson. Later in the afternoon the participants had a full sound check and rehearsal. The evening continued with a dinner party while the artists entertained the guests that were present for the event. Richard and Michelle represented the band Firelight. 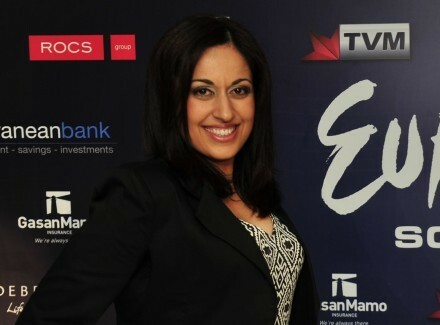 They gave a live performance of three songs; a cover version of Adele Someone Like You, Richard’s second runner up in the 2011 Malta Eurovision national final called Finally and this year’s Malta’s Eurovision entry Coming Home. Band also gave interview (English subs) to the leading Eurovision related website ESCKAZ.com. The party attracted a large number of Russian and foreign media and it will be shown on several Russian speaking TV channels in a number of former Russian countries. The TV channels present for the show included First Channel Russia, Channel One Russia, Moscow 24, HTB, TV Rain, RT Russia Today, MTV Russia and Belarus First Channel. Other media present for the show included Radio Love, OK Magazine which is one of the most popular weekly celebrity magazines, newspapers and web media. The Ambassador of Denmark in Russia was present for the event. A representative of VisitDenmark.com was also present and gave out three free holiday packages to Copenhagen which included flights, accommodation and tickets to watch the Eurovision Song Contest. Next event in which Firelight took part was the London Eurovision party in the capital of United Kingdom. 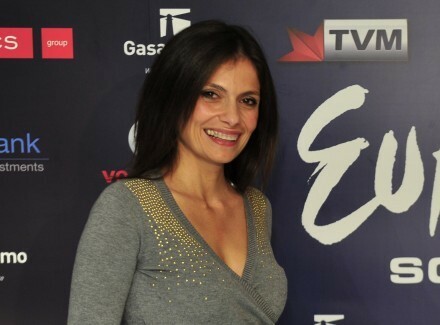 During the party they have performed their Eurovision entry and two more songs: Coming Home, Someone Like You & Finally and gave one more interview to ESCKAZ.com website. 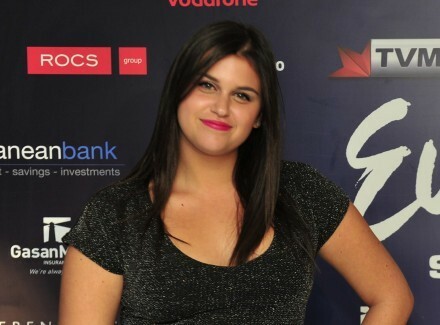 They have also brought with them JESC 2013 winner Gaia Cauchi whom we had a pleasure to talk with as well. 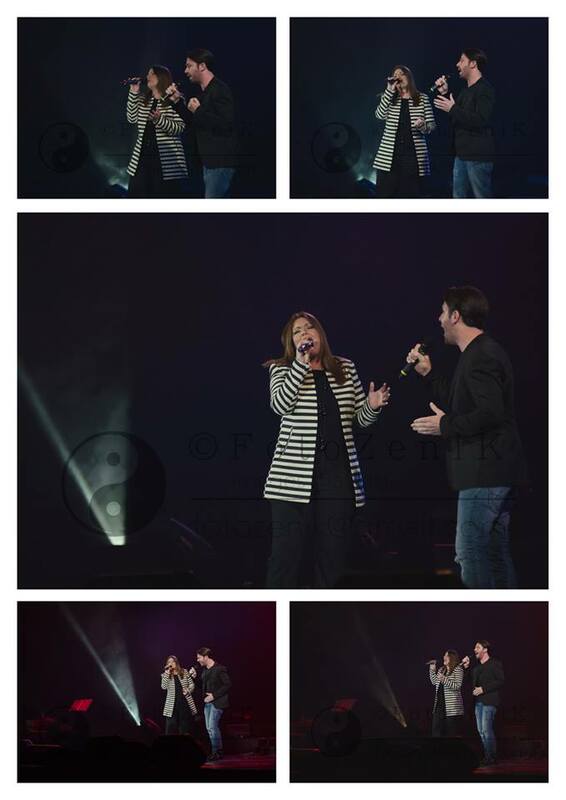 ESCKAZ.com has recorded video interview with Firelight members Richard and Michelle in Amsterdam, during Eurovision in Concert event. You can watch other videos of Firelight in Amsterdam at their Youtube channel. As part of the stage presentation representing Malta, the backdrop of the band Firelight will feature Selfies of people. The Maltese team is offering a opportunity to anyone who wants to be seen across Europe during Europe’s favorite TV show. 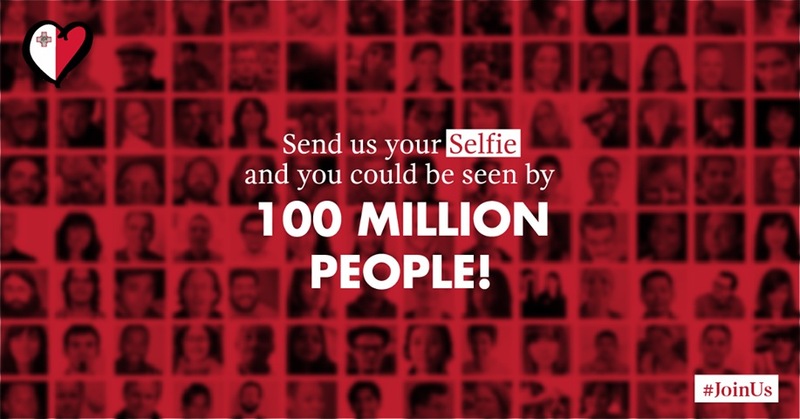 Send your Selfie via Facebook and you could be seen by 100 million people! It is already interactive project for "Fireflight". Earlier, in cooperation with TV program Xarabank and GasanMamo Insurance, band has invited to submit amateur videos of singing, dancing to or imitating Firelight's Coming Home and win a trip for two to the Eurovision Song Contest. Submitted videos can be seen here. Meanwhile, band Firelight will also start production of mobile diaries about their preparations for the contest, which can be seen here. 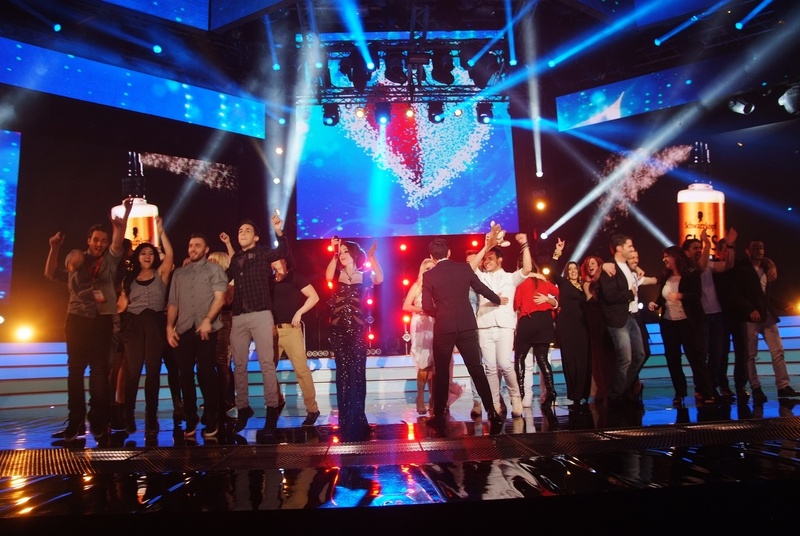 Between preparations for the Eurovision, band, together with other leading Maltese vocalists, has been featured in Maltese produced rock musical Geisha. And their track "Coming Home" has topped BMAT PRS Malta Top 20 airplay chart. The Minister for Home Affairs and National Security, Dr Emanuel Mallia who is also responsible for the national broadcasting station, yesterday visited the studio where the new version of the Malta Eurovision song “Coming Home” is being recorded. During the visit Dr Mallia met with the band “Firelight” where he spent some time talking to the front man of the band Richard Edwards. The Minister also took the opportunity to talk to the team that is working on the new version of the song, namely, Manolito Galea, Elton Zarb, Arturo Pellegrini and Maurizio Campo. Both Pellegrini and Campo explained the changes that they were applying to the song to give it a fresher and more contemporary sound in order to please the ears of a larger audience. Even though the song is primarily a mix of folk and country music, they assured the Minister that the new version will be liked by many Eurovision fans. The Minister was happy to hear parts of the new version of “Coming Home” and complimented the team for their good efforts to send the best possible product on the big Eurovision stage in Copenhagen. He has emphasized the importance of music production in Malta and has also spoken about the importance of exporting Maltese music abroad. tvm.com.mt took a short comment from Pellegrini and Campo. They explained that they were recording all the vocals and instruments from scratch in order to give the song more quality and a more professional sound. "The original version is more acoustic. We would like to keep the idea of a folk country song, but we are going to give the song a more modern sound, thus making it more popular on an international dimension" explained Campo. 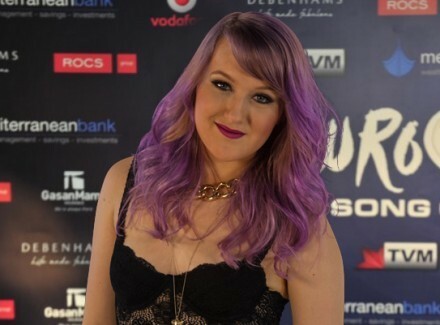 "This song is not a typical Eurovision Song and that is what will make it popular. What we are doing at the moment is to integrate an electronic digital sound experience while making sure that we keep to the original concept", continued Pellegrini. The Chief Executive Officer of PBS Ltd. and Head of Delegation of the Malta Eurovision Song Contest Mr Anton Attard was also present for the meeting. 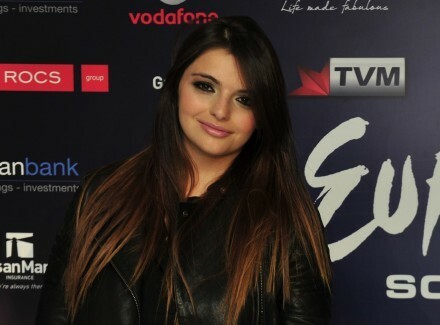 Attard explained that the changes being applied to the song are an essential part of the process to send the best possible entry to the Eurovision Song Contest. Meanwhile the new version of the song as well as the accompanying lyric video are expected to be launched during a promotional event on Monday evening. Sound Engineer Arturo Pellegrini is back in Malta together with the Italian musician Maurizio Campo to assist PBS and Firelight to record a new arrangement of the song "Coming Home". Campo, first pianist of the San Remo Orchestra, will be working on the new arrangement of the song. 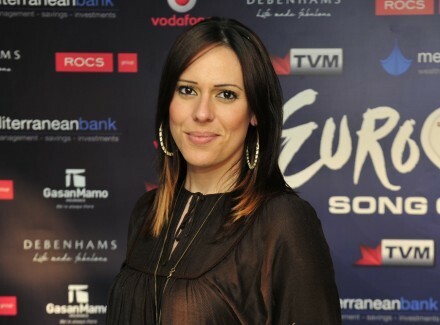 Pellegrini, mostly noted for his work on Italian national television has already been a few times before to Malta to enhance the audio transmission of the Malta Eurovision Song Contest. This time Pellegrini will be working on the remix of the song "Coming Home". He stated that "Coming Home" is already a very good product. However, he added that the new version will have a more professional recording and that even though the structure of the song will not be changed, the final product will have an audio makeover. "Things are happening quite fast, but so far we are very happy with the way things are progressing. I am lucky to be working with such professional team members and I am sure that the end product will be fantastic"
The new recording of ‘Coming Home’ is being carried out at Lito’s Place Recording Studio in Floriana. Sound Engineer Manolito Galea and Music Producer Elton Zarb also are assisting in the recording. Preparations to launch the video of the winning song of Malta Eurovision Song Contest "Coming Home" of group Firelight are in full swing. tvm.com.mt yesterday afternoon visited one of the "secret" places where scenes for the the video are being shoot. Richard Edwards, the leader singer of the band, did not said anything about the storyline of the video, but most of the things on the set have been causing intrinsic link with the lyrics of the song. Asked him about his experience so far, Edwards told that he had to wake up very early yesterday to be on set where the filming was taking place and that he is very excited to see the final product. said Edwards during a tribute to anyone who is working on this particular video, especially directors Angie and Duane Laus. The atmosphere among the team is very positive and focused, and as Rodney Gauci, producer of the video said there is a problem how to "get rid" of Richard and send him "back home". 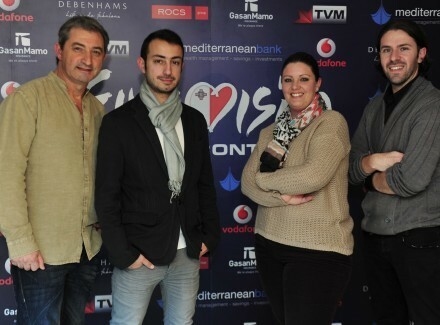 Maltese entry will be chosen as usual via "Malta Eurovision Song Contest 2014" format. Shows will take place in Malta Fairs and Convention Centre in Ta' Qali. Submission period for the show run from September 24 to October 31, 2013. Entries from foreign songwriters were accepted provided that performing artists was Maltese national. The entry fee for each submission was €150. The rule prohibiting last 5 winners of the competition to enter has been dropped, this time not allowing to compete only 2013 winner. 210 entries were received, 70 of them were shortlisted at the first round of hearing, and finally 20 semifinalists were revealed during Xarabank show on TVM on November 29. 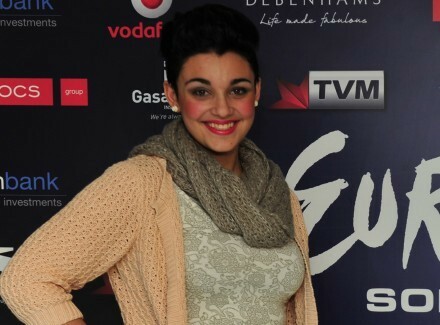 Among artists that failed to qualify to the show were: Dorothy Bezzina, Ylenia Vella, Anna Azzopardi, Eleanor Cassar and others. The preselection will include a semifinal of 20 entries on February 7, 2014. Top 14 entries on the decision of 6-member professional jury panel and televoting (1/7th of total) will proceed to the final that will take place next day, February 8, 2014. 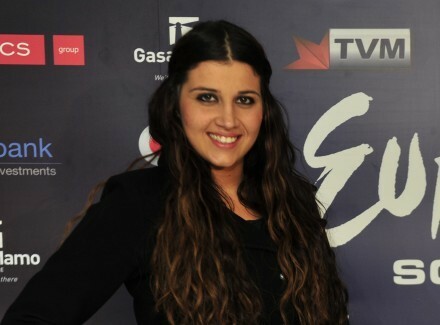 Shows will be hosted by Gianluca Bezzina, Ira Losco and Moira Delia. 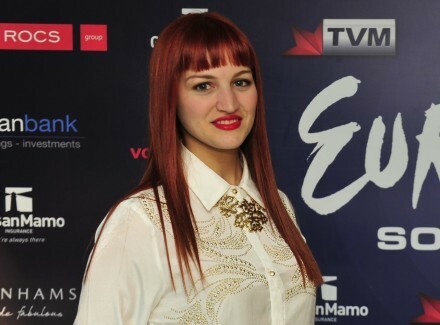 Mariya Yaremchuk (Ukraine) (semifinal), Sebalter (Switzerland) and Junior Eurovision winner Gaia Cauchi will become guests of the show, as well as several local acts - Matthew James Borg & Peter Borg, The Crowns, Ġorġ u Pawlu, Winter Moods etc. 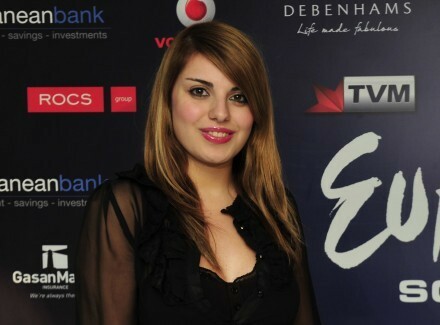 Participating entries of "Malta Eurovision Song Contest 2014" can be heard here, and more information on the participating acts is available here. 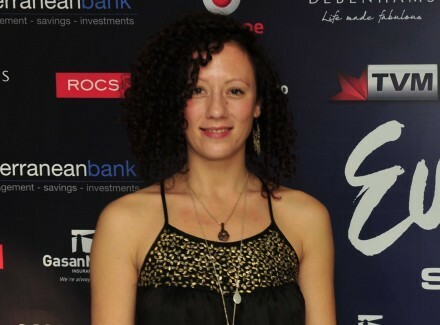 You can vote for TVM.com.mt Web Award here and find it's current results here - it was won by Jessika. Firelight - мальтийская кантри/фолк/поп группа. В ее состав входят Мишель Мифсуд (вокал, фортепиано, перкуссия), ее брат Ричард Эдвард Микаллеф (вокал, акустическая гитара, дульцимер, перкуссия), Тони Полидано (вокал, контрабас, электро-бас, акустик-бас, перкуссия) и Лесли Десезар (ударные, перкуссия, гармоника). После национального отбора к группе присоединились еще два брата из семьи Микаллеф - Уэйн Уильям, в качестве бэк-вокалиста и Даниель Микаллеф на акустической гитаре, который заменил Мэттью Эллула, выступавшего с группой на национальном отборе. Firelight были основаны в июне 2013 года и все еще находятся в процессе записи своего первого альбома, который планируется к выходу в феврале 2014 года. Все песни на нем - коллективное творчество группы, основанное на идеях, представляющих ее саму. Стиль музыки представляет собой нечто новое, а цель группы - продемонстрировать свежее звучание на музыкальной сцене, как местной, так и международной. В феврале у группы есть планы начать раскрутку своего альбома посредством онлайн маркетинга, ротации песен на местных и зарубежных радио и телестанциях, выпуска видеоклипа и туров по Мальте и Европе. Ричард Эдвардс принимал участие в отборах 2013 года с "Fall Like Rome" (13 место) и "Wonderful Today" (6 место, в дуэте с Петрой), в 2012 с "Look At Me Now" (5 место), в 2011 с "Finally" (2 место), в 2010 с "Change" и с группой Mics: "It's Up To You" в 2005 (21 место), "We Truly Know" в 2004, "Take Me Back Again" в 2003 (14 место). Родившись 21го августа 1982 года на Мальте, Ричард начал заниматься музыкой в самом раннем возрасте, выступая со своим братом Уэйном и сестрой Мишель в семейной группе "The Mics", принимая участие в различных мальтийских телевизионных и радио программах. Ричард начал писать собственные песни в возрасте 12 лет, описывая окружающую его жизнь через мелодии. В 2005 году, когда "The Mics" распались, он покинул родину, чтобы попробовать себя в музыкальной индустрии Соединенного Королевства. За то время, что музыкант провел в Англии, ему выпал шанс выступать на одной сцене с Леоной Льюис, Реем Квином и другими участниками программы "X-factor". На XFactor Ричард пробился в 80 лучших из более чем 100 тысяч кандидатов. Он получил положительные отзывы от Саймона Коуэлла и вышел в финал. Позже Ричард стал участником британской рок-группы под названием «Cast Away» В группе он работал в качестве басиста и вокалиста. Он провел много времени с музыкальным турне по юго-востоку Англии. В 2009 году Ричард возвращается домой, чтобы записать свой дебютный альбом "Busking in Baghdad" со своим братом Уэйном. Музыка Ричарда исполняется на каждой мальтийской радиостанции и попадает в национальные чарты, несколько недель занимая в них высшие строчки. Помимо ежегодного участия в отборах на Евровидение, Ричард регулярно появляется на других мальтийских телепрограммах и выступает с концертами по всей Мальте. The Mics также время от времени собираются снова, и иногда с Мишель, Уэйном, Ричардом и Даниелем выступает и их отец Джо Джордж. "У меня, как у музыканта, довольно широкий вкус, я научился ценить все виды музыки, но если нужно назвать любимые - то это кантри, фолк, рок и немного поп. Единственные интересы в жизни, от которых я никогда не устаю, связаны с музыкой, было бы это пение, игра на гитаре, написании мелодий и текстов, запись, репетиции, концерты и т.п. ", рассказывает Ричард. Ричарда вдохновляют такие мировые знаменитости как Стиви Уандер, Сэр Пол Маккартни, группа Pink Floyd, Эрик Клэптон, группа Coldplay, Алиша Киз и его отец – Джо Джорж. Ричард – фанат футбольного клуба Манчестер Юнайтед в Англии. Ему также нравится благотворительная работа. Наименее успешная деятельность Ричарда - рыбалка. Ему еще ни разу не удалось ничего поймать. Песня Firelight Coming Home - это смесь поп, рок и фолк музыки. Ричард верит, что "Coming Home" будет ассоциироваться у людей с разными жизненными ситуациями, и полагает, что она будет иметь особое значение для тысяч эмигрантов, которые путешествуют по всей Европе в поисках работы, и проводят месяцы вдали от своих семей. Новый альбом группы также носит название «Coming Home». Альбом включает в себя 9 новых песен. Все песни альбома представляют собой коллективный труд, который воплощает в себя энтузиазм и идеи всех участников коллектива. "Мы надеемся, что стиль песни поможет ей выделиться в Копенгагене. Наша задача состоит в том, чтобы отдать со сцены как можно больше энергии и показать самое лушчее шоу, как мы только можем". Полное освещение российской вечеринки Евровидения вы можете найти здесь. Очередным мероприятием, в котором приняли участие Firelight - стала вечеринка London Eurovision в столице Великобритании. В рамках данной вечеринки группа исполнила свою конкурсную песню и еще две композиции : Coming Home, Someone Like You & Finally, а также дала интервью вебсайту ESCKAZ.com. Они привезли с собой победительницу Детского Евровидения 2013 Гайю Кауки, с которой мы также с удовольствием пообщались. ESCKAZ.com записал видео интервью с участниками группы Firelight Ричардом и Мишель во время Eurovision In Concert в Амстердаме. Другие видео с пребывания группы в Амстердаме вы можете увидеть здесь. В рамках сценического номера представителей Мальты группы Firelight, на заднем экране будут демонстрироваться селфи - снимки людей, сделанные ими самолично на мобильный телефон или фотокамеру. Делегация Мальты предлагает всем желающим отправить свое фото через Facebook, и вас смогут увидеть сотни миллионов людей во время самого популярного шоу Европы. Это уже второй интерактивный проект группы "Fireflight". Ранее, в сотрудничестве с телепрограммой Xarabank и компанией GasanMamo Insurance, группа пригласила подавать любительские видео пения, танцев или имитации песни "Coming Home" и выиграть билеты на двоих на конкурс Евровидение. Поданные видео можно увидеть здесь. Тем временем, группа Firelight начинает выпуск мобильных дневников о своей подготовке к конкурсу и за ними можно будет следить здесь. Между своей подготовкой к Евровидению, группа, вместе с другими известными мальтийскими вокалистами, приняла участие в постановке местного рок-мюзикла Geisha. 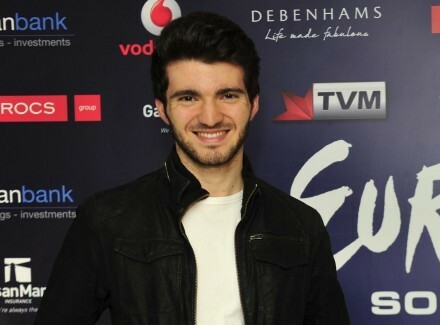 А трек "Coming Home" тем временем возглавил радио-чарт BMAT PRS Malta Top 20. Министр внутренних дел и национальной безопастности, доктор Эмануэль Маллия, который также отвечает за государственную телекомпанию, вчера посетил студию, где продолжается работа над новой версией песни "Coming Home", которая представляет Мальту на конкурсе Евровидение. За время визита доктор Маллия встретился с участниками группы "Firelight" и провел некоторое время общаяясь с ее солистом Ричардом Эдвардсом. Министр также получил возможность встретиться с командой, которая работает над записью новой версии песни - Манолито Галеа, Элтоном Зарбом, Артуро Пеллегрини и Маурицио Кампо. Пеллегрини и Кампо объяснили о том, что изменения, которые вносятся в песню, направлены на то, чтобы придать ей более свежее и более современное звучание, для восприятия песни более широкой аудиторией. Даже несмотря на то, что песня представляет собой смесь фолк и кантри музыки, они заверили министра о том, что ее новая версия придется по душе многим поклонникам Евровидения. Минстр был рад услышать части новой версии "Coming Home" и поблагодарил команду за ее хорошие усилия над тем, чтобы выставить на Европейскую сцену качественный продукт. Он подчеркнул важность музыкального производства на Мальте и экспорта мальтийской музыки зарубеж. Пеллегрини и Кампо объяснили, что они перезаписали все вокалы и инструменты с нуля, чтобы придать песне качественное и более профессиональное звучание. "Оригинальная версия песни является более акустической". Мы хотим сохранить идею фолк-кантри песни, но придать ей современное звучание, чтобы она стала популярной в международном измерении", объяснил Кампо. "Песня не является типичной для конкурса Евровидение, но именно это сделает ее более популярной. Сейчас мы пытаемся интегрировать в нее электронное цифровое звучание, при этом тщательно заботясь о сохранении первоначальной концепции", продолжил Пеллегрини. Глава делегации Мальты на Евровидении и исполнительный директор телекомпании PBS Антон Аттард также присутствовал на данной встрече. Аттард объяснил, что изменения, вносимые в песню, являются важной частью процесса подготовки к конкурсу Евровидение. Новая версия композиции, а также lyric video на нее будут представлены публике в понедельник вечером. Звукорежиссер Артуро Пеллегрини вернулся на Мальту вместе с итальянским музыкантом Маурицио Кампо, чтобы помочь PBS и группе Firelight записать новую аранжировку их конкурной песни "Coming Home". Кампо, первый пианист оркестра Сан Ремо, будет работать над новой аранжировкой композиции. Пеллегрини, в основном известный благодаря своей работе на итальянском телевидении, уже несколько раз был на Мальте для того, чтобы работать над звуком во время национального отбора на Евровидение. В этот раз Пеллегрини будет работать над ремиком песни "Coming Home". Он говорит, что "Coming Home" уже очень хороший продукт, однако добавляя то, что у новой версии будет более профессиональная запись, и хотя структура песни не изменится, новый продукт будет звучать иначе. "Все происходит очень быстро, но мы рады тому, как проходит работа. Нам повезло работать с такими профессионалами своего дела, и я уверен, что итоговый продукт получится просто фантастическим"
Новая запись "Coming Home" проходит в студии звукозаписи Lito’s Place в Флориане. Помогают в записи звукорежиссер Манолито Галеа и музыкальный продюсер Элтон Зарб. Началась подготовка видеоклипа на песню представителей Мальты на конкурсе Евровидение 2014 "Coming Home" группы Firelight. Группа телеканала TVM вчера днем посетила одно из "секретных" мест, в которых проходят съемки сцен для клипа. Ричард Эдвардс, солист группы, ничего не рассказал о сюжете видео, но большая часть элементов сета демонстрировало собой связь с текстом песни. На вопрос об его ощущениях, Эдвардс рассказал, что ему пришлось проснуться очень рано утром, чтобы приехать к месту съемок. сказал Эдвардс и поблагодарил всех тех, кто работает на съемках, особенно режиссеров Энжи и Дуан Лаус. Атмосфера команды очень позитивная и сфокусированная, и как сказал продюсер клипа Родни Гаучи, сейчас проблемой является то, как "избавиться" от Ричарда и отослать его "обратно домой". Представитель Мальты на Евровидении 2014 будет выбран по обычной процедуре "Malta Eurovision Song Contest 2014". Шоу пройдут в Malta Fairs and Convention Centre в Та' Кали. Прием заявок на участие в шоу осуществлялся с 24 сентября по 31 октября 2013 года. Допускалось участие иностранных авторов песен, при условии, что их исполнители являются гражданами Мальты. Взнос за участие каждой из композиций составлял 150 евро. Правило, ранее запрещающее участие в отборе 5 последних его победителей, было отменено, и в этом году запрещено было лишь повторное участие для победителя прошлого года. Всего было получено 210 заявок, из них 70 было оставлено в списке после первого прослушивания, и наконец, имена 20 полуфиналистов были объявлены во время шоу Xarabank на телеканале TVM 29 ноября. Среди артистов не попавших в шоу: Dorothy Bezzina, Ylenia Vella, Anna Azzopardi, Eleanor Cassar и другие. Отборочный тур будет состоять из полуфинала из 20 песен, который пройдет 7го февраля 2014 года. Лучшие 14 песен по мнению профессионального жюри из 6-членов и телезрителей (имеющих вес 1/7 от целого) выйдут в финал, который состоится на следующий день - 8 февраля. Ведущие шоу - Джанлука Беццина, Ира Лоско и Моира Делиа. Мария Яремчук (Украина) (полуфинал), представитель Швейцарии Себалтер и победительница Детского Евровидения Гайя Гаучи станут гостями шоу, также как и ряд местных артистов - Matthew James Borg & Peter Borg, The Crowns, Ġorġ u Pawlu, Winter Moods. 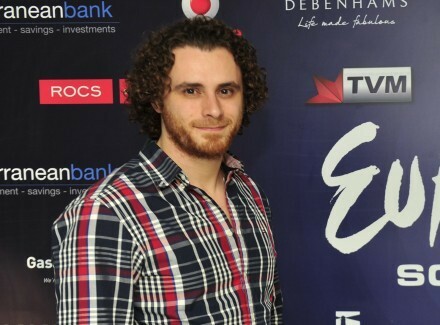 Участвующие в "Malta Eurovision Song Contest 2014" песни можно услышать здесь, а дополнительная информация об участвующих артистах доступна здесь (на английском языке). Вы можете проголосовать на веб премии TVM.com.mt здесь и посмотреть ее текущие результаты здесь - ее победительницей стала Джессика. Yeah the spirits alive I'm on the road coming home. Yeah the spirits alive I still keep busking for your love. Сохраняя жизнерадостность я по-прежнему иду по дороге на пути домой.